Finally, there are some hints of spring. The temperatures are a bit warmer and the forecast is looking like spring weather is arriving soon. I don’t know about you, but I’m ready to start my outside projects, and now is an excellent time to begin the planning process. Exterior painting may seem like a simple task. All you need is a can of paint and a brush, right? Well there is more to it than simply going to your nearest hardware store and buying a can of paint and paint brush. Should I use oil-based or latex paint? In my situation, what type of paint is the most durable and will last the longest? Are there different paint brushes for oil-based paints and latex paints? Is it important to know if the existing paint is oil based or latex? Do I need a special type of paint if I’m painting a metal or wood surface? How do I prepare the existing surface for painting? What I need to know about the dangers of lead-based paint? If you don’t want to deal with these types of questions, let our courteous professional painters take the worries out of your painting projects. One of our experienced professionals will stop by to discuss your requirements. We will then use our expertise to provide you with the best solution. The work will be scheduled according to your timetable. Our painters will properly prepare all surfaces, use quality materials, protect your property, and clean up after the job is complete. Call us today at 610-282-0503 and let us help you give your home that fresh new look! Selecting the right countertop for your new kitchen or remodeled kitchen can be a challenging task. There are many types of materials and colors to choose from in a wide range of prices. Many years ago countertops were made of either wood or stone. Then years ago laminate countertops were top of the line. Today, however, there are many choices from laminate, to solid surface, to engineered stone, to granite and natural stone. Countertops today are no longer just for preparing lunch for our kids or dinner for the family, they can be the center or showplace of your home. Consequently you should select the countertop that suits your lifestyle and activities. Also think about how long you plan to stay in the home. The longer you plan to stay in the home the more durable and high-end the product. The cost per year becomes minimal the longer you stay in the home. A more neutral color, pattern, or design makes it easier to decorate and or remodel in future years without changing the countertop. Let’s group our countertops into four classifications or types. Starting with the most inexpensive, we have the laminates. There is a huge range of colors and patterns available and laminate countertops are relatively easy to maintain. Unlike other materials, laminates usually don’t require any type of special maintenance such as a sealer to keep things looking nice. Sharp knives and hot pans will damage the surface. Simple common sense maintenance such as wiping up spills, using cutting boards and hot pads will keep your laminate top looking great for many years. The next category is solid surface countertops. The standard for solid surface countertops was set by DuPont when that company introduced Corian. Today the term Corian is synonymous with solid surface countertops. There are, however, other solid surface manufacturers. Don’t limit your selection options to Corian, shop around. Other manufacturers may have just the color or pattern that you desire. Solid surface tops are made from acrylic polymer and alumina trihydrate, in layman’s terms, a hard plastic. It’s non-porous and can be used in special environments such as hospitals and laboratories. Since these countertops can be installed without seams, you don’t have to scrub away any dirt trapped in a seam. The material is relatively stain free and scratches or burns can usually be repaired. Also the sink can be mounted seamlessly beneath the countertop thus eliminating any seams between the sink and countertop. There is a downside to solid surface material. It has poor resistance to heat. Hot pots and pans can “burn” the material. Don’t place a hot frying pan directly on the surface. Again common sense says use a hot pad and cutting board. Also over time the surface may dull and need some buffing to bring back that fresh look. Depending on the color and material design, it can be a pricey option. Shop around, you may find a manufacture of solid surface material with a better price and selection. The next category is engineered stone. Engineered stone is basically crushed stone bound together by glue or binding agent. It is made in a factory, polished by fabricators, and assembled at the job site. It’s the closest thing to real granite or natural stone. Since the material is basically made of stone, it is resistant to scratching and its non-porous surface is hard to stain. Engineered stone is typically less porous than stone. Being less porous, there is less opportunity for mold and mildew than with traditional granite or natural stone. Because of the way the engineered stone is manufactured, it doesn’t need to be sealed. As with the other materials we discussed, it’s always a good idea to avoid placing hot pans on the surface. It’s best to use a hot pad or trivet and a cutting board. Also, the agents used to bind the crushed stone tend to be a little more flexible and can withstand some movement. So if you have a very long countertop and there may be some movement, engineered stone should be considered. These polyester resin binding agents are susceptible to UV sunlight and tend to break down over time if exposed to the sun. Continued exposure to the sun can cause discoloration. Therefore, engineered stone is not recommended for outdoor use. Be aware, however, that you are now moving into the higher priced countertops and since the material is manufactured and distributed in slabs, the installation for your application may require a seam. Also with engineered stone, your sink cannot be integrated seamlessly with the countertops as it can be with a solid surface material. There will be some sort of seam between the countertop and sink. The last and most expensive countertops are made from granite and natural stone. Granite or natural stone is a very hard surface and is very resistant to heat. It’s still not a bad idea to use hot pads or trivets and cutting boards, but if you forget, granite is the most forgiving. This type of surface should be sealed and if done so it can withstand most stains and is even more resistant to heat. Granite tops are very long lasting and present a very rich luxurious appearance to any kitchen or bath. Since it is a product of nature, each countertop is unique and no one will have the same countertop as you have. With your unique countertop you have the option of installing an under mount or drop-in sink. Since the material is porous it is susceptible to mold and mildew and should be sealed periodically. The stone can be scratched and if not sealed properly, liquids can penetrate the surface and leave a “water mark” if not cleaned up quickly. Obviously because of the natural material seams are very evident especially if the surface has a predominant pattern. If you select a natural stone such as marble, be aware that it stains very easily and is not recommended for kitchen countertops. Proven tips for getting great Fire and Water Damage Restoration Service Services, costs and hiring best practices. What services does a Fire and Water Damage Restoration commonly provide? What is the best way to find good prospects? What should I look for when I interview the Fire and Water Damage Restoration? How do I make sure that the Fire And Water Damage Restoration Service is done right? Then, use the following information to understand your options, make good decisions and get quality work at a fair price. Not every Fire and Water Damage Restoration has the same ability. Experience, skills, and sense of acceptable quality vary considerable. To get the results that you expect, it is essential that you put appropriate effort behind finding a Fire and Water Damage Restoration matched to the specific requirements of your job. Not simply someone that puts you at ease or wins your confidence. Job site cleanliness, worker conduct, and rules for use of on-site bathroom, phone, etc. Storage space is never enough and those who can’t get rid of things easily know what I am talking about. Let’s see how the space under the stairs can be transformed in a new storage area. 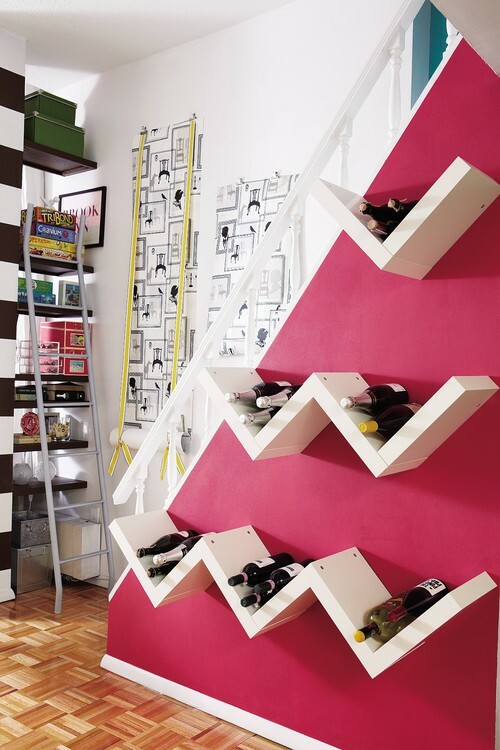 Staircases are such things that could be as eye catching as practical. They can connect sever floors of your home and provide some book or other small things storage. They also can be very compact in case you don’t need an additional storage space and your space is at the premium. In case you have a difficult layout situation you might find some interesting staircase design ideas here. With a severe storm forecasted to be heading our way, Hurricane Sandy could affect our area with heavy rains of up to 12 inches. The weather model predicts the center of the storm being close to our area beginning Sunday and going into Monday. The interaction of these to systems will cause some showers to develop and the winds to start increasing on Sunday. Monday and Tuesday (possibly into Wednesday) is when we’re expecting the worst of the wind and rain from this Sandy/hybrid storm. That would mean damaging winds and power outages as well as major local river and coastal flooding. In preparation for the hurricane, here are some emergency kit supplies to have on hand and things to check for before Sunday in case of a major hit. Put together an emergency kit, including flashlight, battery-powered radio, extra batteries, first aid kit, and rain gear. Have at least 3 days’ worth of pet food, bottled water and supplies for your pet. Officials from the Pennsylvania Department of Transportation are gearing up for Hurricane Sandy as well. They’re just one of the many companies on standby for the storm. They’ve asked all employees to be ready to come into work, regardless of vacation or other schedules. For more information about emergency preparedness, go to the Pa. Emergency Management Agency website and the American Red Cross website.